In late July, Defense Secretary Ash Carter hosted the Global Coalition to Counter ISIL Meeting at Andrews Air Force Base in Washinghton. It was the fourth time when defense and foreign leaders from more than 30 countries gathered in order to discuss the ongoing operations against the Islamic State. Carter emphasized a significant success of the US-led coalition that, according to him, had resulted in liberation of the cities of Ramadi and Fallujah in Iraq, the narrowing of ISIS-controlled territory in the Syria-Iraq battlespace and the successful cooperation with local security forces in Iraq. The US Defense Secretary called this approach a new tactical scheme of the war against ISIS. However, the facts on the ground hardly show something really new in the US strategy in the Middle East. 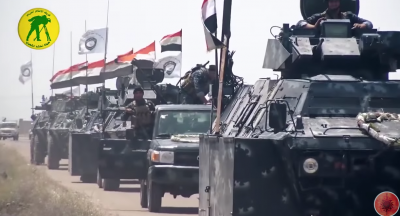 First of all, Ramadi and Fallujah have been liberated as result of agreements with the local Suni clans that had decided to make a deal with Baghdad instead of become involved into bloody clashes with the Iraqi Shia militias. In this case, a major part of ISIS units freely withdrew from these cities and deployed in the nearby areas. If this is a new US anti-ISIS strategy, it’s easy to expect the liberation of Mosul via the same way. However, these PR victories have nothing related to the destruction of the Islamic State as the organized terror group. It looks that Washington sees ISIS and other jihadi groups as a counterbalance to the Iranian influence in Iraq and Syria. And only the Russian intervention in Syria is the only reason why the US-led international coalition has decided to intensify operations against ISIS. Furthermore, the so-called “new tactical scheme” offered by Carter allows ISIS to maintain its military and terror capabilities for further operations. The recent ISIS terror attack in Baghdad that killed 300 people showed this, clearly. The expected operation to liberate Mosul was also discussed during the meeting. According to US officials, more than two billion dollars are needed to do this. This amount includes such thing as “support for the displaced, and what it requires of preparations to relieve their suffering and help them to return to their areas of residence.” In other words, this is contribution to the local Sunni forces under the possible agreement over Mosul. The United States expects is going to raise this amount from the coalition members. All these developments demonstrated that the US has been implementing its long-standing strategy of using various terrorist groups in Syria and Iraq in order to oppose the growing influence of Iran and Russia in the region. The recent statements of US State Secretary John Kerry about preventing the Syrian government forces’ offensive in Aleppo is a part of the same strategy.